The Franklin Downtown Partnership expects to dish up more than 700 sweet, juicy strawberry shortcakes at this year’s Strawberry Stroll on Thursday, June 7. The event will be held downtown from 4:00 p.m. to 7:00 p.m., rain or shine. The FDP’s famous strawberry shortcakes will be served up by Dean Bank’s branch staff in front of the bank on Main Street. Dean College volunteers expect to cut more than 160 quarts of red, ripe strawberries for the stroll. Garelick Farms will provide 4 cases of whipped cream to top off the mouth-watering dessert. Sponsorship Row in the Berry Insurance parking lot will feature the event’s backers. Platinum sponsor for this event is Dean Bank and silver sponsors are Dean College and Garelick Farms. Bronze sponsors are Chestnut Dental Associates, CVS Pharmacy, Digital Federal Credit Union (DCU) and Keefe Insurance. Music will be provided by Music Odyssey Productions, and the Franklin Art Center will showcase self portraits by budding artists from the Franklin Children’s School. Participating businesses throughout downtown plan sweet and spring-themed specials for the afternoon. Singer and guitarist Kevin Wolfe will be performing outside Pisini Shoes on Main Street. On East Central Street the band Yookeroo will perform at The Cake Bar. At Jane’s Frames owner Jane Curran will show visitors how to create lively and fun home displays with children’s framed art while local musician and music teacher Jamie Barrett entertains young and old and all those in between. The Historical Museum invites the public to its wedding gown display and refreshments on the porch, and A Cut Above will offer visitors lemonade and cookies along with giveaways. Vallee’s Jewelers plans to buy back gold items at their shop on Main Street. Many other downtown businesses also are offering store specials and discounts. Sponsorship opportunities are still available for this popular event. For more information contact Event Chair Nicole Fortier at nfortier@deanbank.com. More information is also available on the Partnership’s website at www.franklindowntownpartnership.com. As a non-profit organization, the Downtown Partnership depends on sponsors to run events like this, the Harvest Festival and the Holiday Stroll. 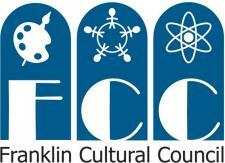 The Franklin Downtown Partnership is a 501(c)3 non-profit organization. The Partnership’s mission is to stimulate economic development downtown in order to create a positive impact throughout the area, and to be a pro-active organization that brings residents, business owners and community leaders together, encourages cooperation and builds leadership for the purpose of revitalizing downtown Franklin. For more information please contact Executive Director Lisa Piana at (774)571-3109 or downtown.franklin@yahoo.com.